Discussion in 'Armoralleather' started by leatherman, Feb 28, 2019. Now that is a mouth full! This beauty just landed in my shop for some fancy pants and I wanted to let yall know that I will be making more! Pics of the knife coming soon, as soon as I can sit still long enough. Interested to see what you make. It's such a nice blade! It deserves some nice pants. Curious, now that you have that knife in your possession, I'm safe to assume that you will have a copy of it's size and all that indefinitely? Because I would like to order one soon from you. Yes, I will be recording the critical measurements and making good patterns. Not a worry. I'm not interested in molded leather. I'm more interested in other styles, especially the one I described in your exotic leather post. 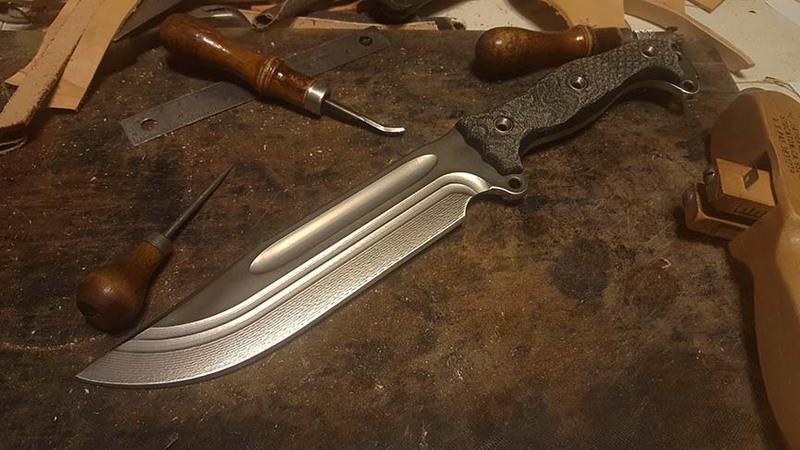 I'm glad to know that you're able to make more sheath for this knife as that is the one I want to pamper soon, hopefully this year depending on funds. Interested to see your outcome as well! 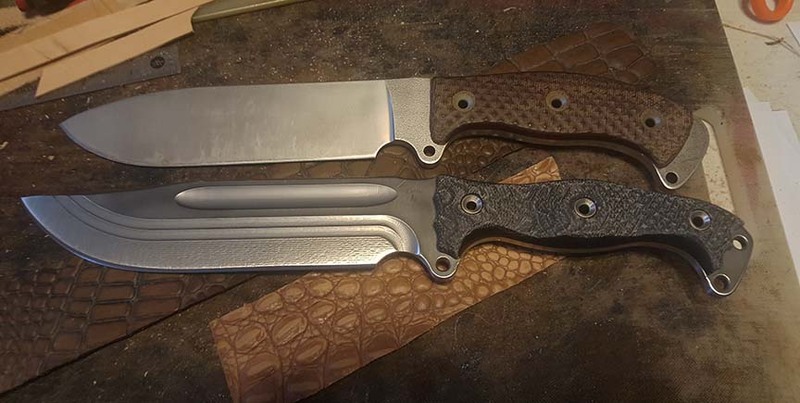 I have the exact knife in your photo...down to the black micarta. Go go go! Excellent! There are a lot of ideas flowing around, and a few I hope will look great!